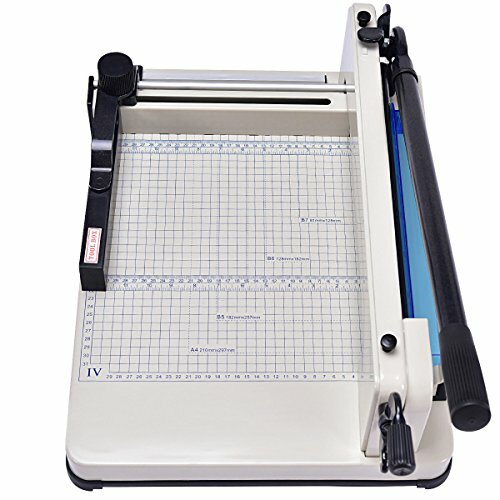 This is our Giantex A4 Paper Cutter. It can be used not only in your office but also inyour home study. 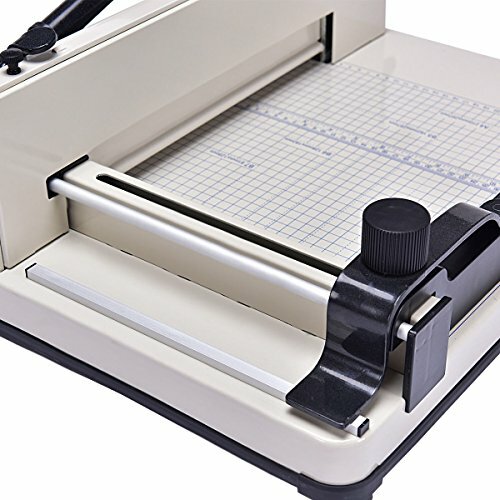 This paper cutter is quite safe for you to use and operate. 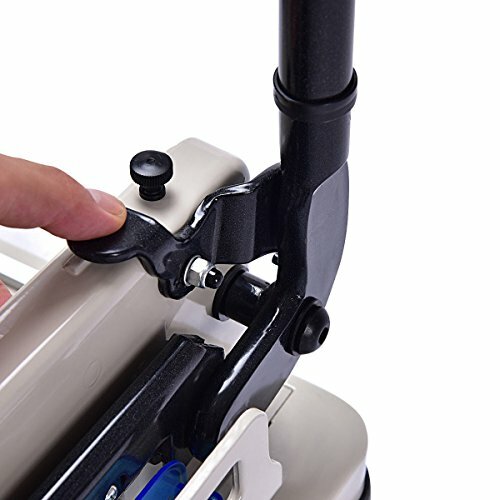 Adjustable paper clamp with lockable function can hold paper well. Inches ruler and clear embossed grid on the cutting board help you make precise cutting size. Besides,the cutting handle bar is easy to be controlled. 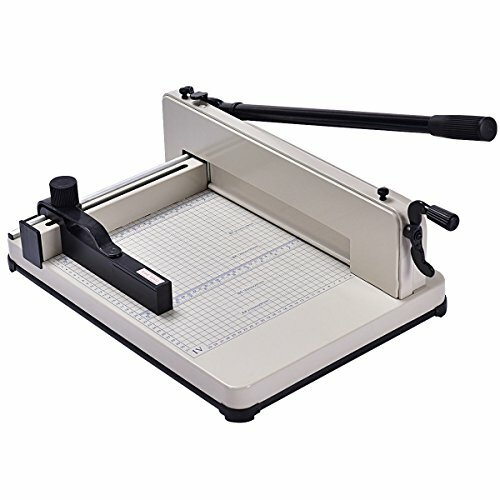 The heavy duty steel base will offer large support to fix the whole paper cutter while you are cutting. Ourpaper cutter also has large cutting capacity. You can easily cut 400 sheetspaper. It will be a perfect choice for you! 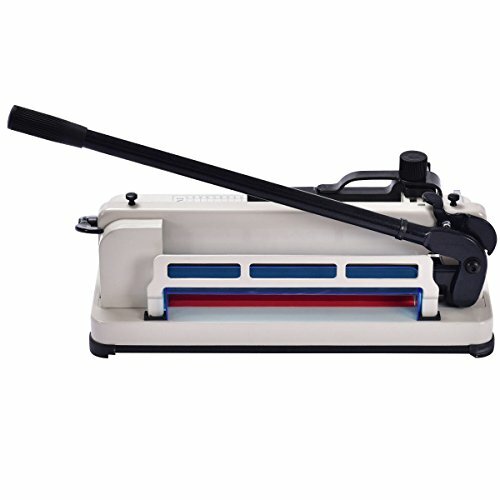 Base Size: 21" x 15" x 1 1/2"
Large Cutting Capacity- The maximum cutting capacity of our paper cutter reaches 400 sheets. This makes it easy for you to cut lots of paper without much effort. Solid Heavy Duty Base- This base is made of steel which is stable and durable. It fixes the whole paper cutter and provide a strong support. It will not be easily moved while you are cutting paper. Perfectly Holding Paper- Paper clamp is adjustable. After adjusting it to the position you want, you can lock it well and then steadily cut paper to the precise size you like. Accurate Cutting- There are inches ruler and clear embossed grid on the surface of the cutting board. 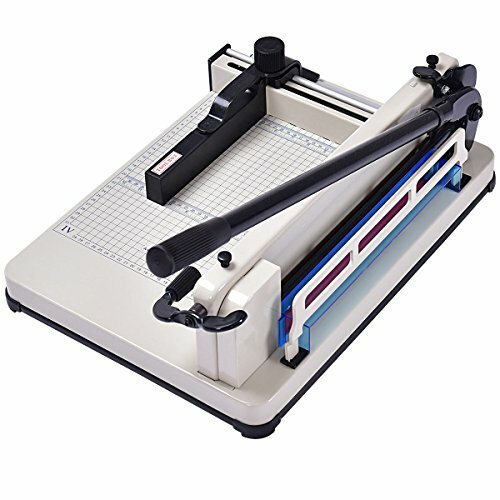 It is largely helpful for you to make precise paper cutting. 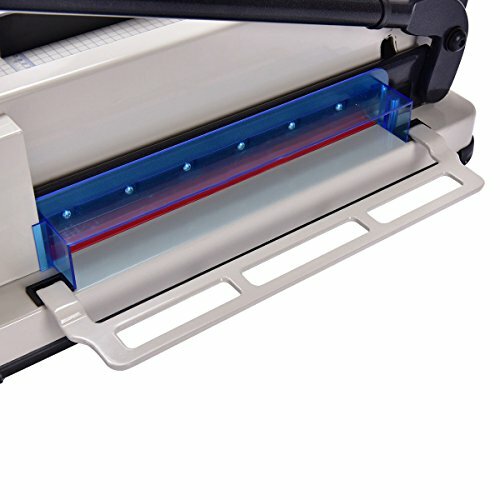 Steel blade rail and sturdy blade assembly offer additional assistance in fast and accurate paper cutting. Scratch-resistant coated Surface- The surface of cutting base is coated, which protects the cutting plate from being scratched. At the same time, it keeps smooth and prevent paper from being damaged while being cutting.